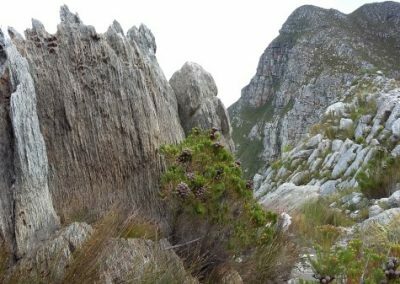 The Kogelberg Hike in the Kogelberg reserve lies within the southern stretch of the rugged Hottentots Holland mountain range. 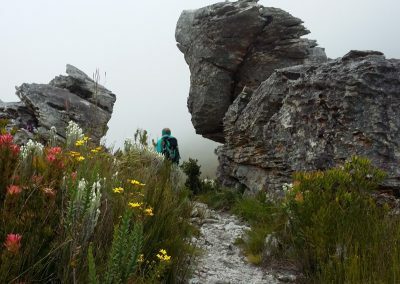 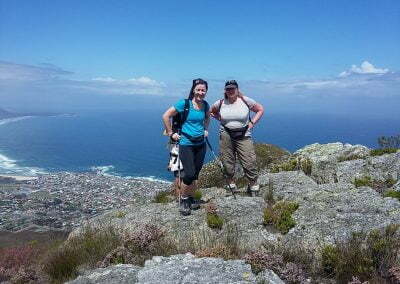 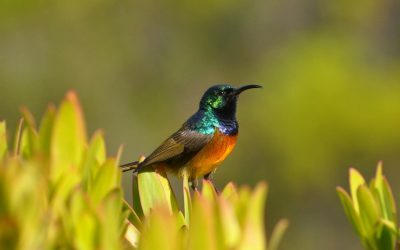 The Kogelberg Hike in the Kogelberg Biosphere encompasses the entire coastal area from Gordon’s Bay to the Bot River vlei, and inland to Grabouw and the Groenland Mountain. 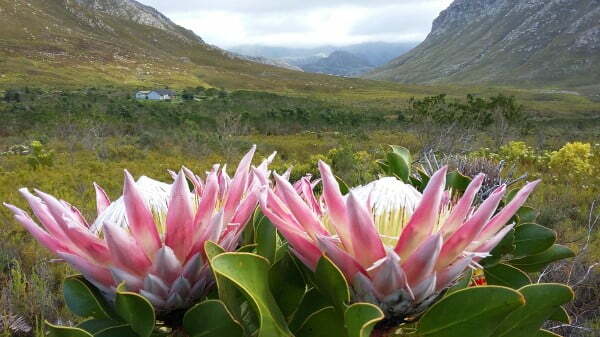 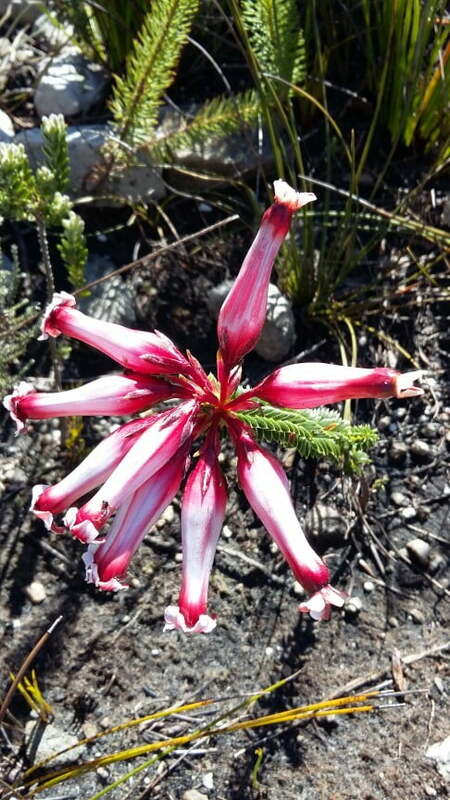 Kogelberg is just an hour’s drive (90 km) from Cape Town the area is famous for its floral wealth. 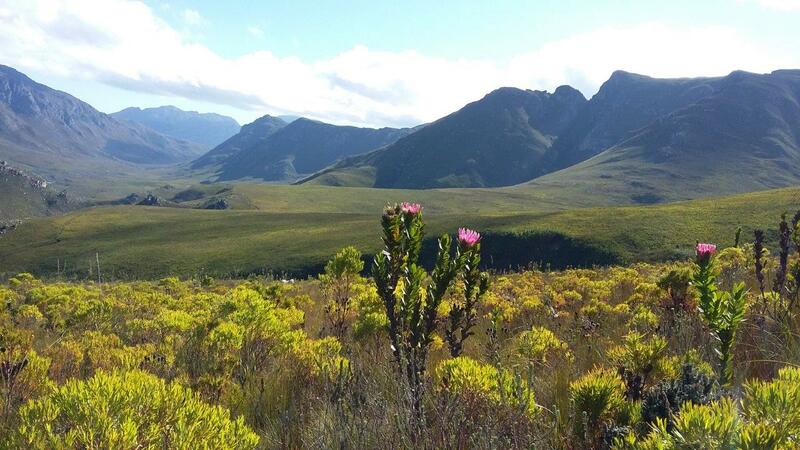 The 18 000 ha Nature Reserve boasts in excess of 1800 plant species. 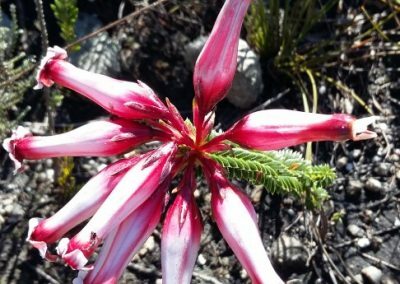 Many spectacular members of the Protea family, Ericas, Disa’s and geophytes, including the Marsh Rose occur here in Kogelberg. 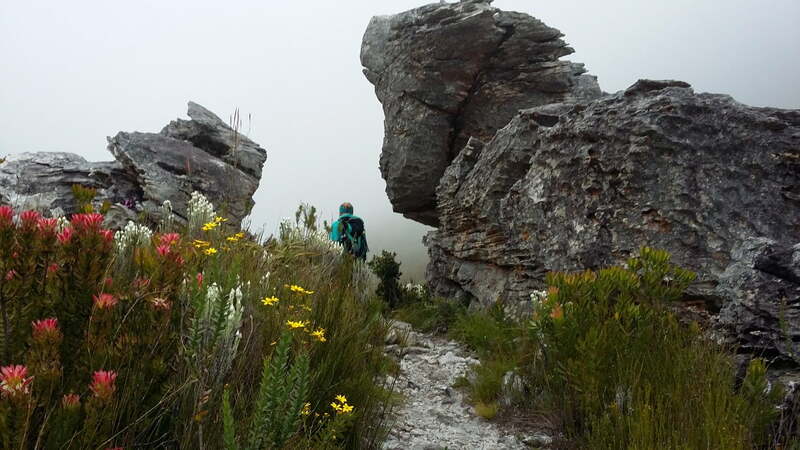 This reserve offers 5 exciting day hikes departing from the Kogelberg office and Oudebosch Cabins or departure points in close proximity. 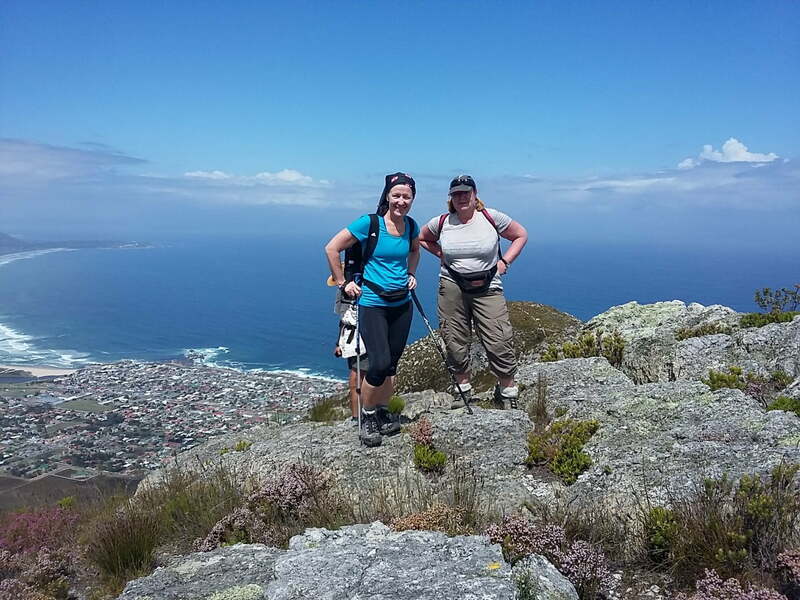 We hiked the Oudebosch-Leopards Gorge 8 kilometer hike today 14-09-2016 and it is very special. 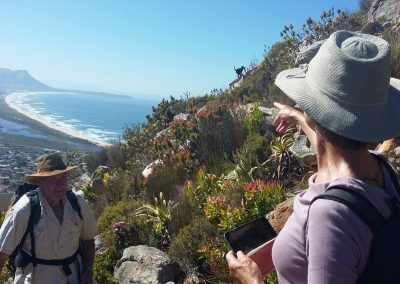 The hike starts at the Oudesbosch parking area about 100 meters from the office .The trail then passes through the Oudebosch Afromontane forest, a little pocket of preserved forest that has survived the Fynbos fires for hundreds of years. 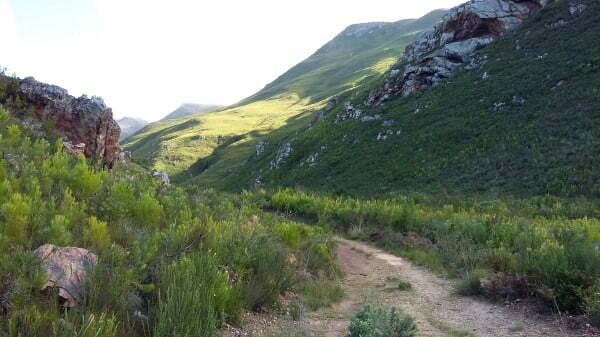 The tall dense forest canopy of Yellowood, Boekenhout, Silky Bark and Rooiels restricts the sunlight reaching the ground. 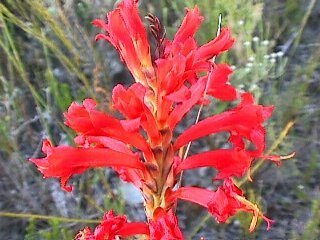 This therefore limits the plant growth on the forest floor to evergreen ferns, and geophytes – thus reducing the fuel load which of course increases the forests survival during fires. 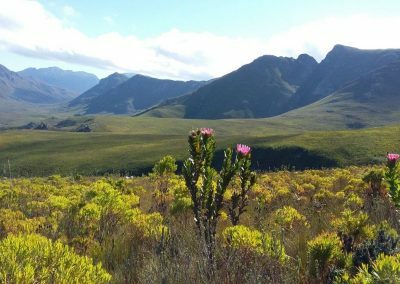 Fynbos is the dominant vegetation type within the Kogelberg and is a “fire-driven” biome. 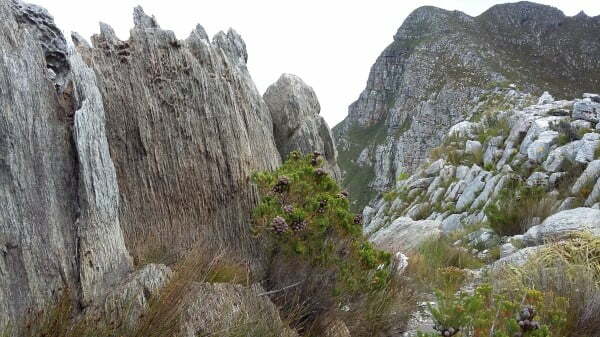 The Palmiet River and its associated vegetation is the most pristine in the south-western Cape. 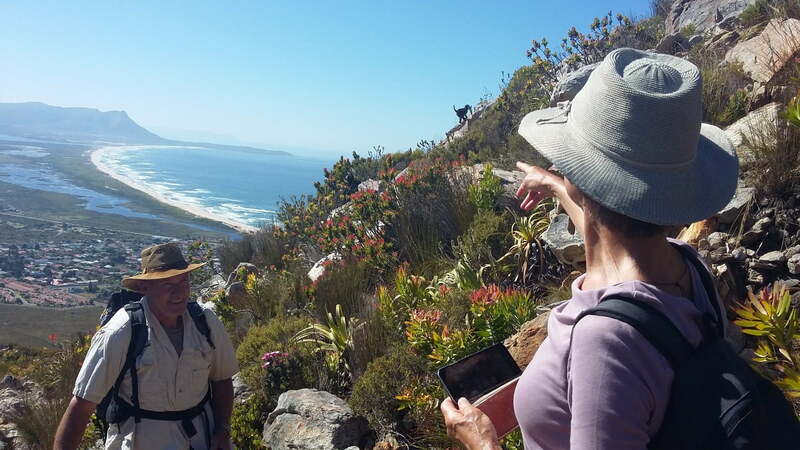 Wild almond, rooi-els, yellow wood and cape beech are among the trees occurring in the riverine scrub. 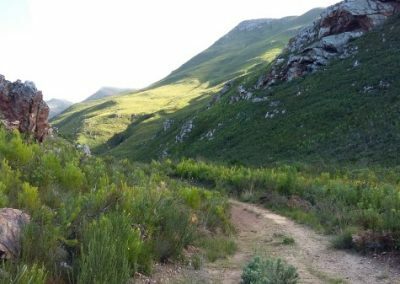 Kogelberg Biosphere Reserve is a UNESCO World Heritage site and now boasts stunning eco cottages that can be hired for overnight trails.